I had a few hours available today to ascend a hill while my daughter and partner went to see Mother Goose at Eden Court. 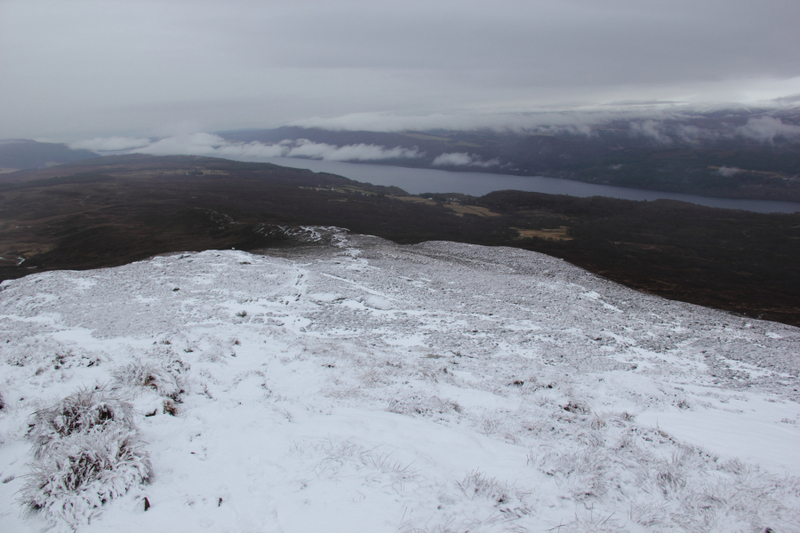 This provided an ideal opportunity to ascend Meall Fuar-mhonaidh, above Loch Ness. 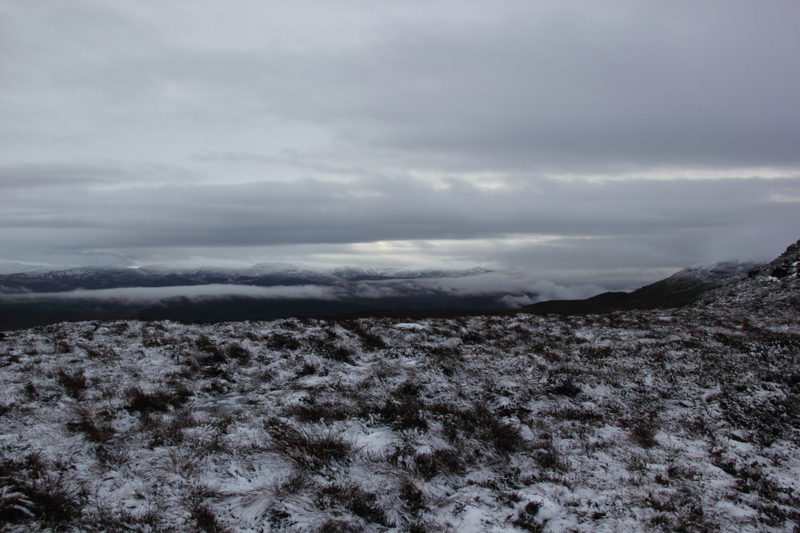 I drove to and parked in the small car park at the end of the minor road leading from Lewiston to Grotaig. 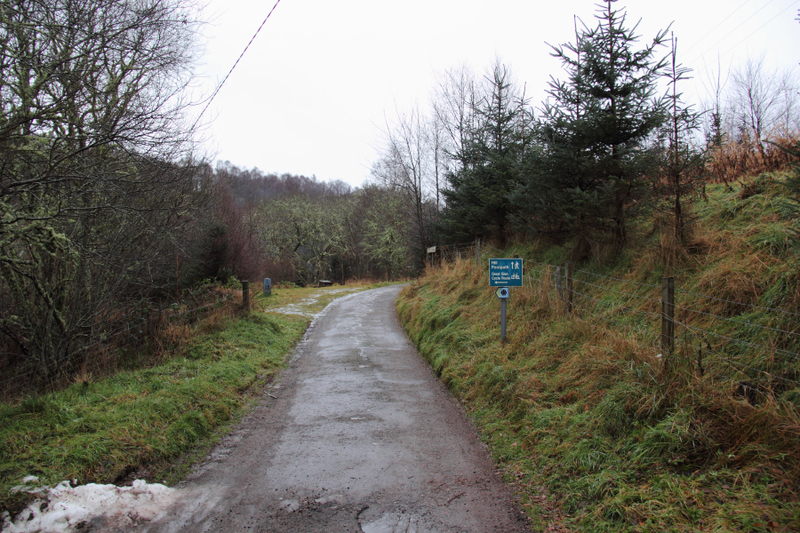 From the car park I followed the hill footpath signs, which direct walkers away from the private road leading to Inchtellach House. 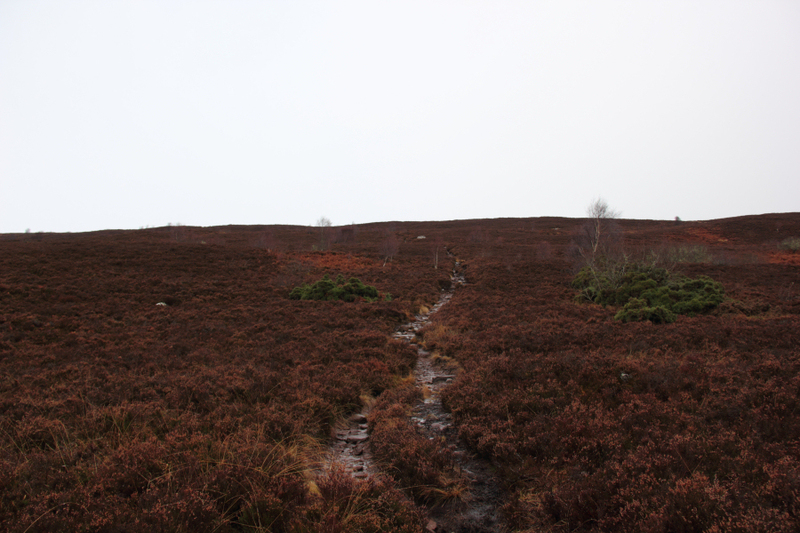 The hill footpath is quite pleasant - it follows a burn through a small wood, with many lichen-covered trees. 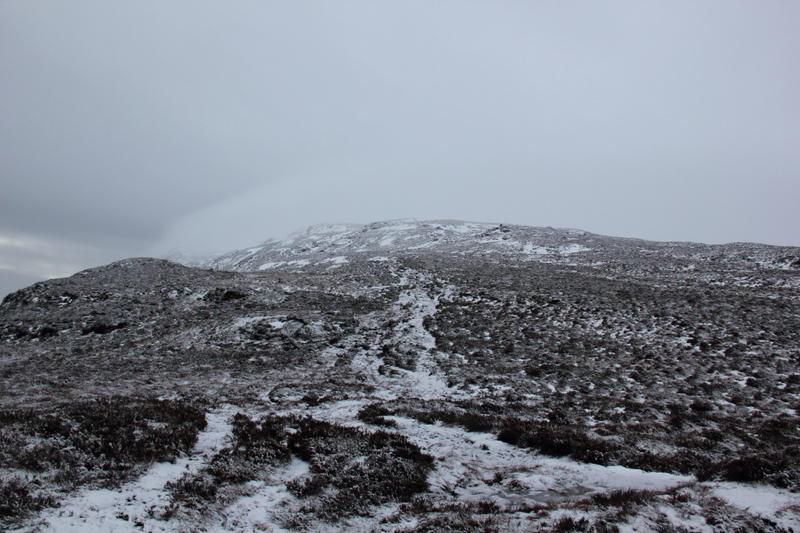 After passing through a couple of gates, I followed the path leading onto the North-East ridge of Meall Fuar-mhonaidh. 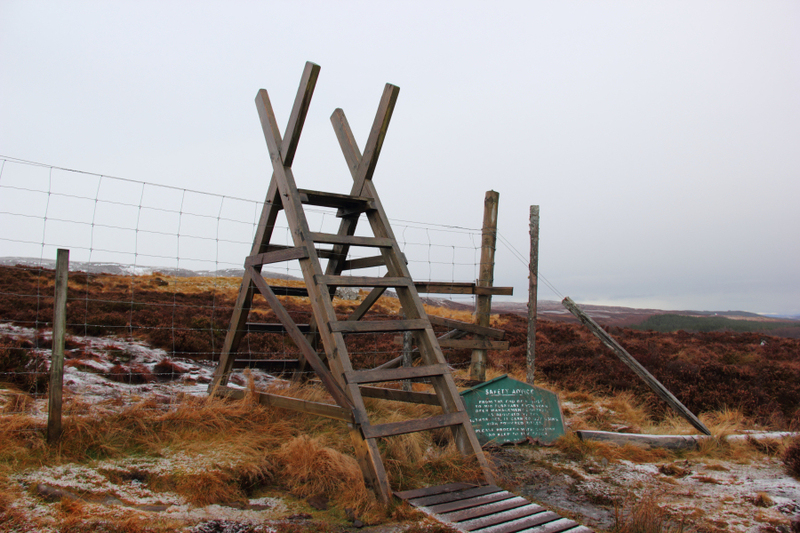 On reaching the deer fence, I used the large stile while Beinn crawled through a small gap under the fence. 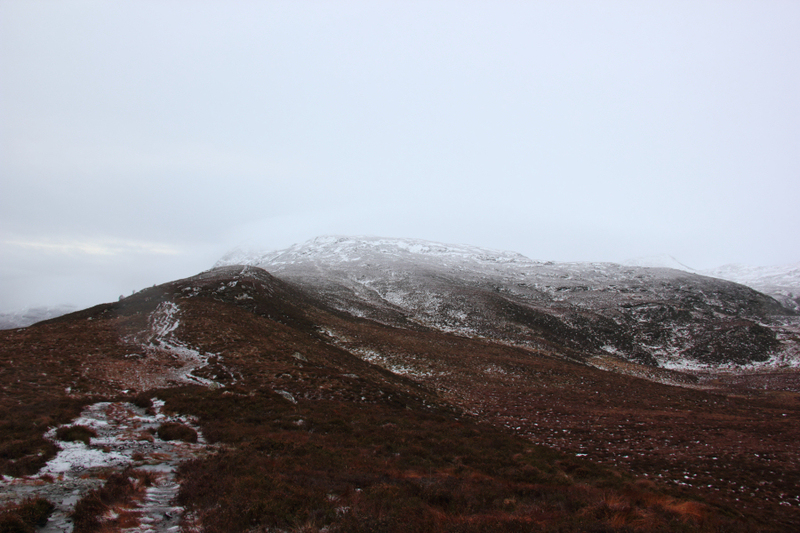 A short distance beyond the stile, I reached the North-East ridge of Meall Fuar-mhonaidh. 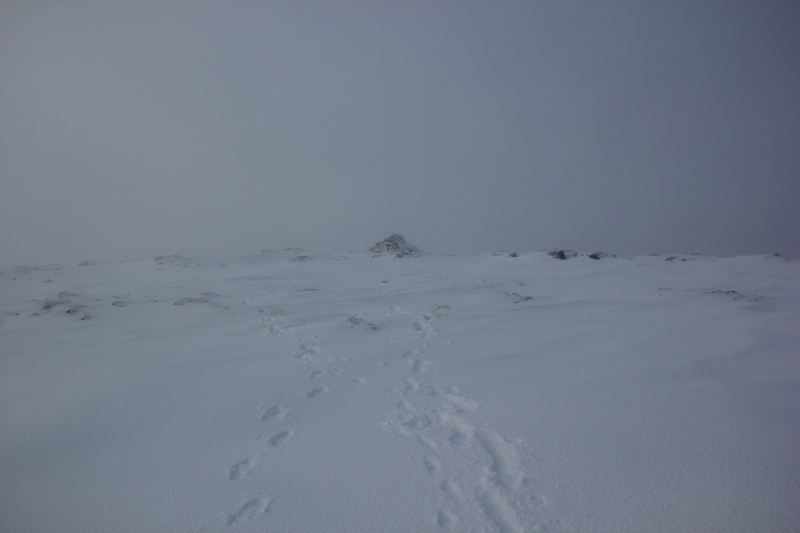 Once on the ridge, I could see one set of fresh boot prints (with micro-spikes) and one set of fresh dog prints. 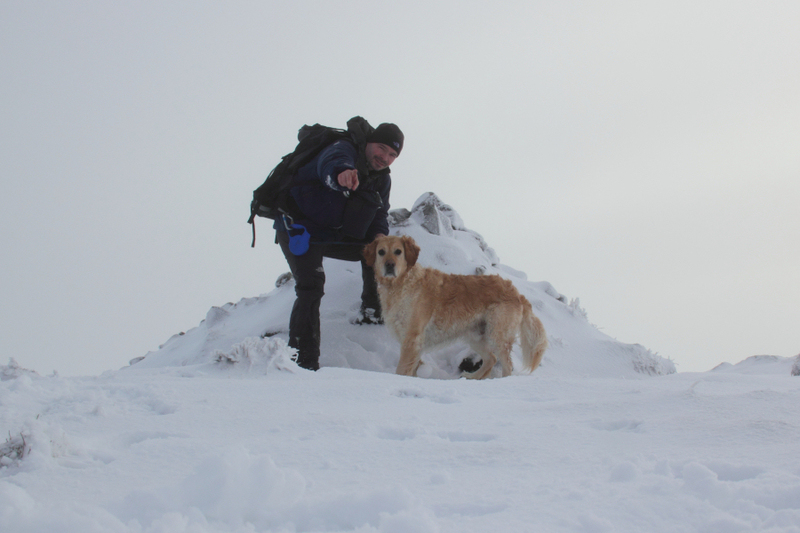 About ten minutes later, I saw a guy descending the hill with his dog. They must have set off quite early. 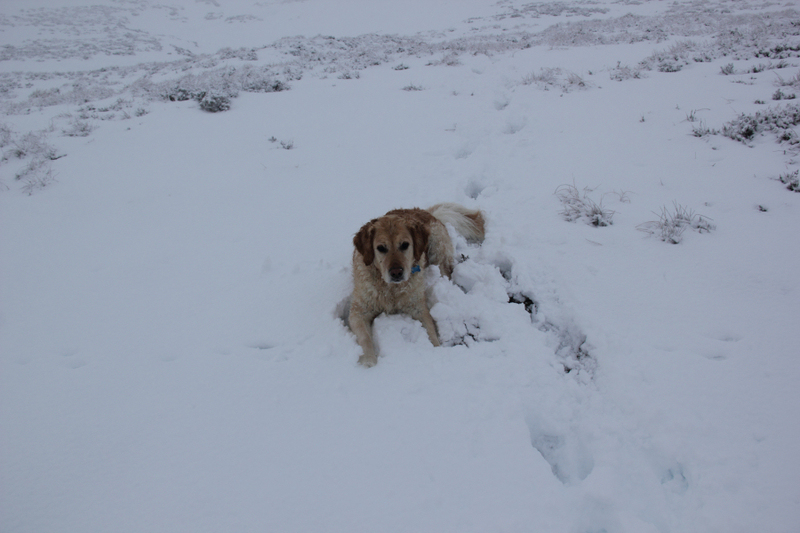 Thanks to the guy for breaking trail in the deeper snow higher up the hill . 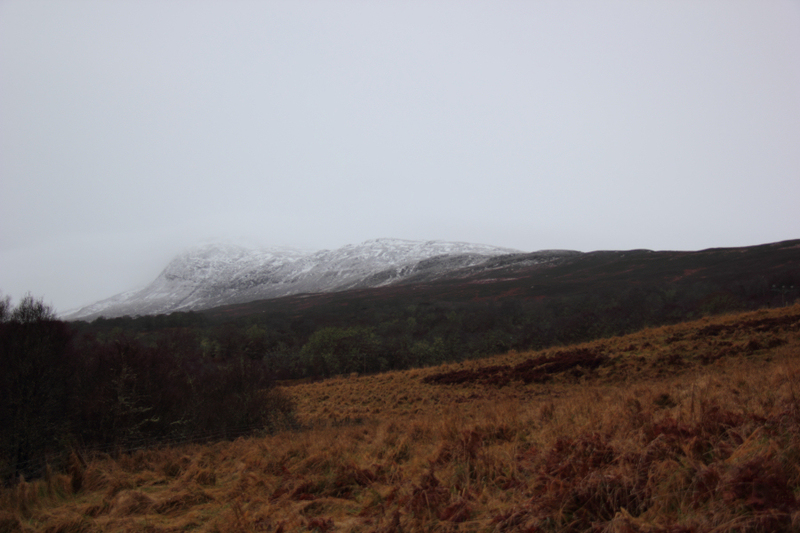 The actual weather today was much nicer than the forecasted weather. Sometimes it pays to ignore the forecasts. 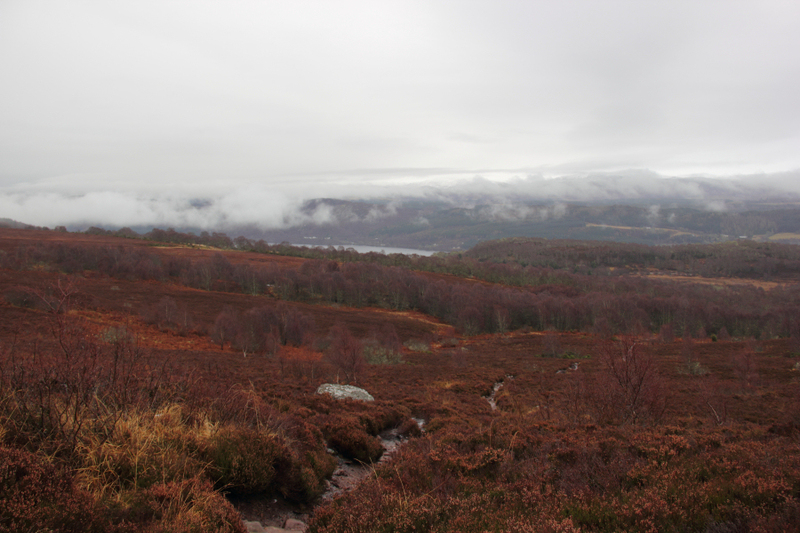 It remained dry throughout the walk but views were somewhat limited. 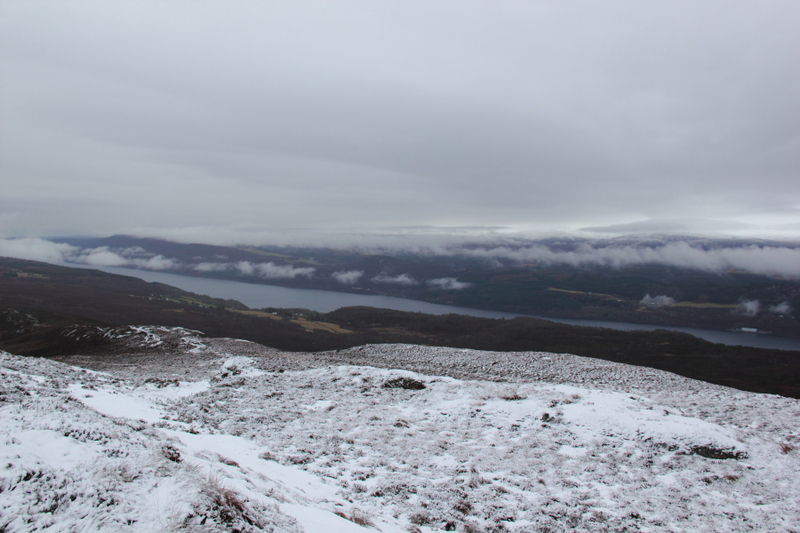 As I gained height, I got increasingly good views down to Loch Ness. 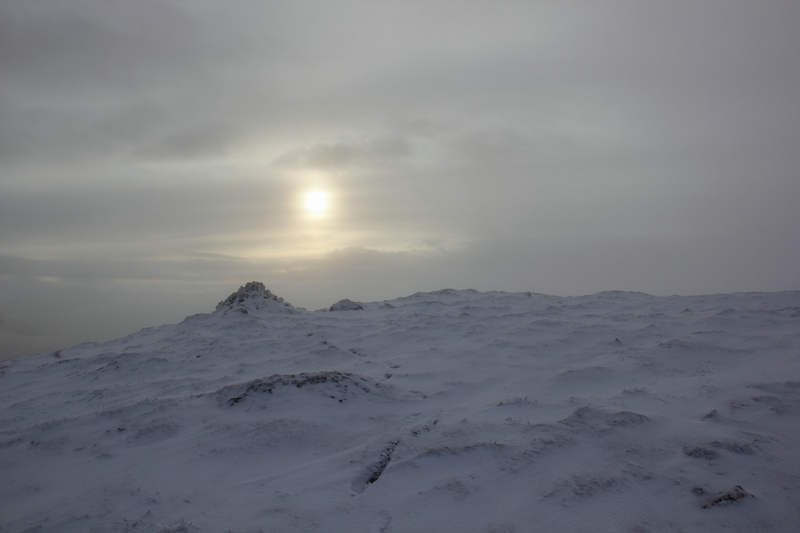 On reaching a large lump of conglomerate rock, it was nice to catch a fleeting glimpse of the sun. 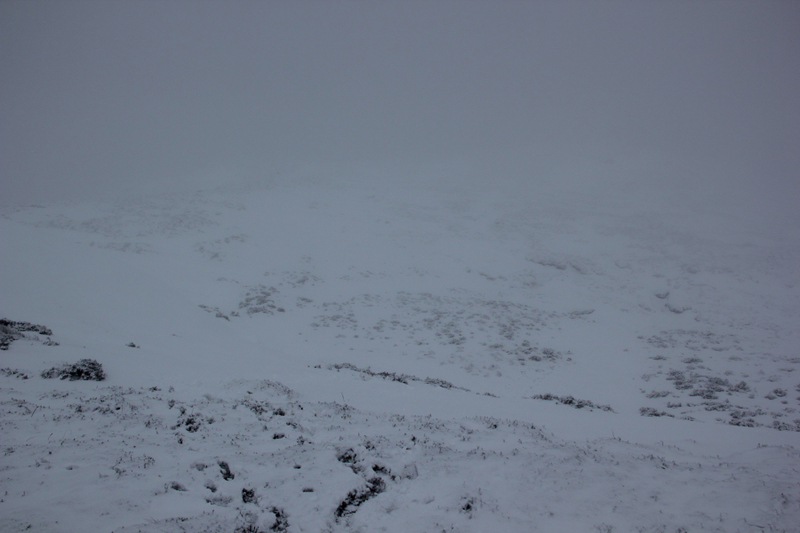 However, just a few minutes later, visibility was greatly reduced as I entered into the cloud. 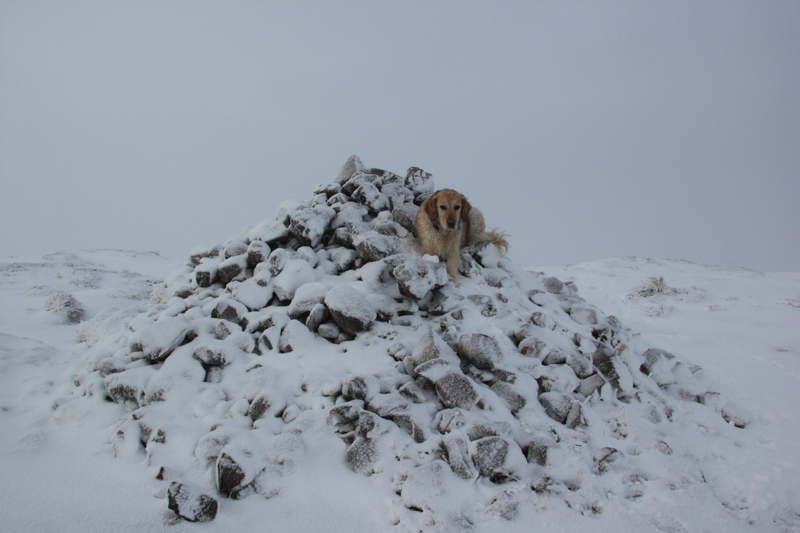 I passed two cairns en-route to the summit cairn. 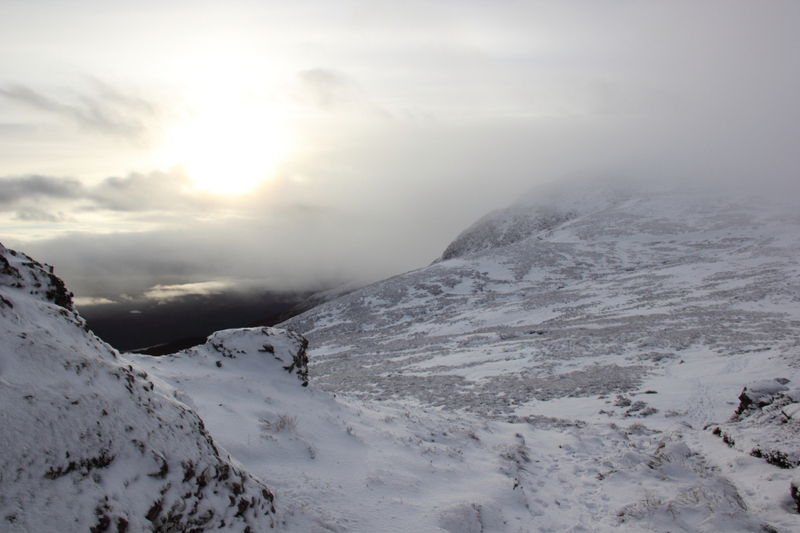 I spent circa ten minutes at the summit, taking some photos and enjoying some hot Ribena. 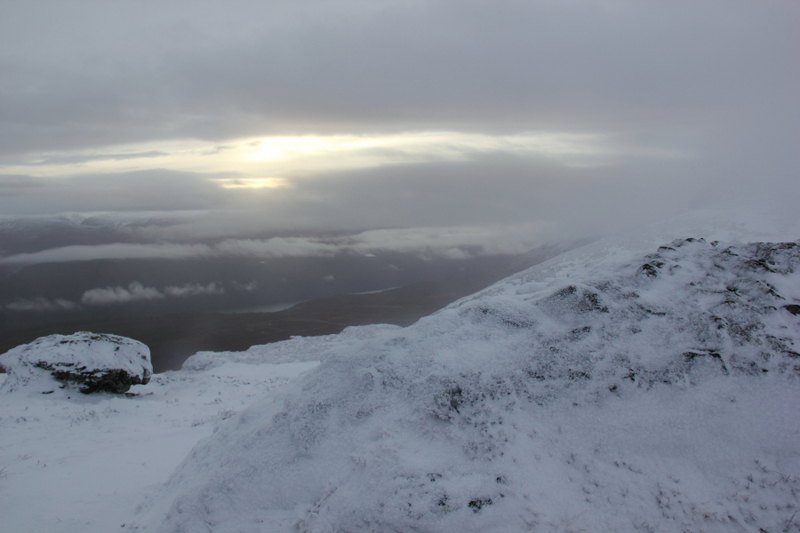 It was sufficiently cold for rime ice to be forming on Beinn’s whiskers .